OFFICIAL JEAN MICHEL BASQUIAT ARTWORK! 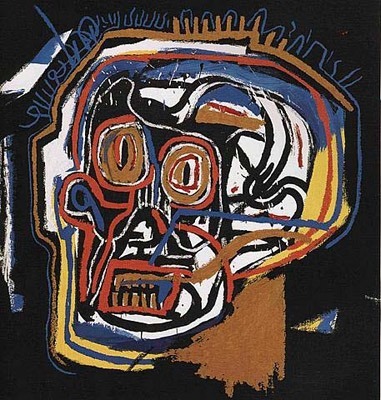 EXCITING JEAN MICHEL BASQUIAT, UNTITLED (HEAD), 1983/2001 , This is a wonderful exciting SIGNED BY THE ARTIST FATHER FAMILY MEMBER LIMITED EDITION SCREENPRINT, EDITION OF 85 , DATE: 1983/2001 Size approximate 40 x 40 inches Screenprint. Created by Artist Jean Michel Basquiat. Featured in several important published works on the artist. It is the RARE hard to find SIGNED Limited Edition features sophisticated brilliant color tones in this print, excellent! Made of the very Finest Archival Museum quality Excellent NEW MINT CONDITION is Highly desirable for collectors. This item selling in Upscale Art Galleries and Museum galleries when and if it can be found. These are dated thru 2005,and are subject to availability. This is perfect for any elegant home, office, restaurant or place of business. WE CARRY SEVERAL JEAN MICHEL BASQUIAT Art works in our inventory. He began as a graffiti artist in New York City in the late 1970s and evolved into a Neo-expressionist painter during the 1980s. His father, Gerard Basquiat, was born in Port-au-Prince, Haiti, and his mother, Matilde Basquiat, was of Puerto Rican descent, born in Brooklyn, New York. His teachers noticed his artistic abilities, and his mother encouraged her son's artistic talent. In 1976, Basquiat began spray-painting graffiti on buildings in Lower Manhattan, under the pseudonym SAMO. Click the button below to add the Exciting Jean Michel Basquiat, Untitled Skull Head, 1983/2001 to your wish list.